U-2 operations in Europe in 1950s. According to documents released last year, the first four “Dragon Lady” planes destined to launch spy missions over Soviet Union were deployed to RAF Lakenheath on Apr. 29, 1956 under the cover story that a Lockheed-developed aircraft would be flown by the USAF Air Weather Service to study high-altitude weather phenomena such as the jet stream and cosmic ray effects up to 55,000 feet. However, the first overflight missions were not launched from Lakenheath due to events outside. Firstly an incident in Portsmouth harbour involving a frogman who was to look at the hulls of Soviet ships which had brought Soviet leaders to the UK that soured Anglo-Soviet relations so much so that the then British Prime Minister Eden wrote to President Eisenhower asking for the overflights to be postponed until things had calmed down. Then, two days later a U-2 on a training flight was spotted by the British radar network making the RAF scramble jets to intercept the “unknown” aircraft: as a result, the British air ministry announced that a special National Advisory Committee on Aeronautics (NACA) aircraft was conducting high-altitude research over the UK. Due to the continued overt publicity and the fact that the US State Department had told Prime Minister Eden that there was only one U-2 example operating from Lakenheath, when in fact there were four, and not wanting to raise further reaction, the spyplanes were moved to Wiesbaden in West Germany. The exposure continued as Wiesbaden was one of the busiest airfields in West Germany and the sight of strange looking aircraft with very long wings raised significant interest. Wiesbaden was a temporary home as after having more powerful J57/P-31 engines fitted, the U-2’s were later moved to Giebelstadt near the East German border. The first overflight of “hostile” territory took place on Jun. 20, 1956 when a U-2 equipped with a A-2 camera flew over Poland and East Germany. The mission film was rushed back to the U.S immediately and the pictures were considered to be of good quality. The spyplanes were not given permission from the President to fly over the Soviet Union until Jun. 21, 1956; however no flights were to be undertaken before the end of June 1956. 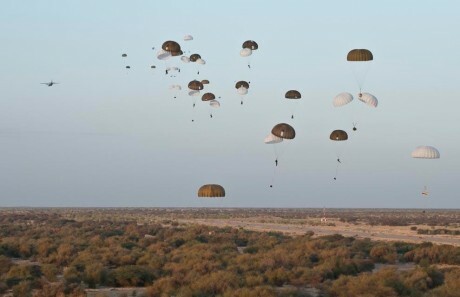 The first few days of July found the weather was not good over the target area therefore two more overflights were carried out, the first over Czechoslovakia, Hungary and Bulgaria and the second over East Germany, Poland, Hungary and Romania. President Eiasenhower was briefed on the first of the two overflights and was anxious to know if the U-2s had been tracked on radar. 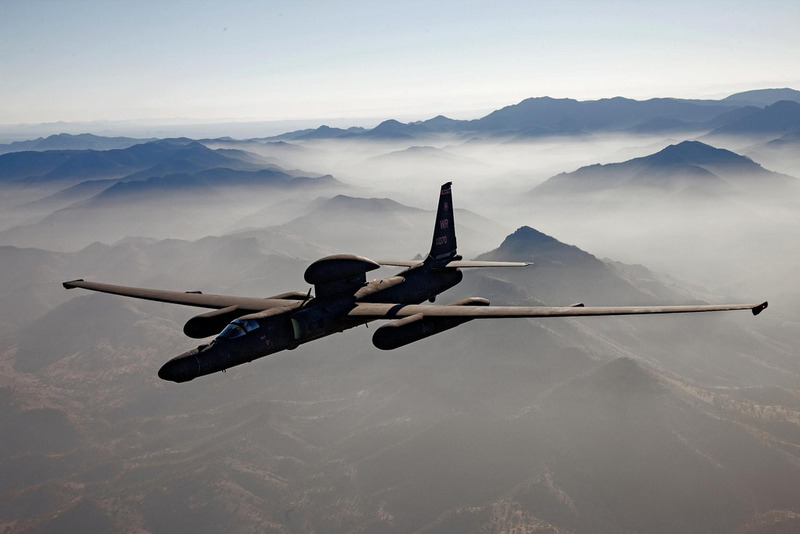 The CIA admitted that the U-2 had been picked up on radar but had been misread. The first overflight of the Soviet Union took place on Wednesday Jul. 4 1956 from Wiesbaden: the Dragon Lady flew over Poznan (Poland) then Belorussia and then north to Leningrad and finally back to Wiesbaden via the Soviet Baltic states. The main area of interest on this first flight were the naval ship yards in Leningrad. The second U-2 overflight of the Soviet Union took place the very next day and brought the plane over the Soviet capital Moscow: this was to become the only time a U-2 ever flew over Moscow itself. On both missions, U.S. black spyplanes went after several targets, including the new Myasishchev M-4 “Bison” bomber. President Eisenhower was concerned that, although the Soviets could not intercept them, the U-2 overflights of Moscow and Leningrad could worsen the relations with USSR and eventually cause a war. For this reason, he ordered that the U-2 missions stop if the spyplanes could be tracked. The overflights were resumed in 1957 from Alaska and, beginning in 1959, British pilots were involved in U-2 flights after an agreement between CIA and MI6. But this is another story…..